Chicago’s Original Winter Half Marathon seemed more like a March or April type of race in its ninth year of the race this past Saturday. The weather was exceptional for a Saturday in January, and many runners sported shorts and jerseys instead of the usual tights and jackets. Between the half marathon and 5k, there were over 3,000 runners on the Lakefront Path for the 2018 F^3 Lake Half Marathon & 5K. One of the best parts about this race was the logistics. 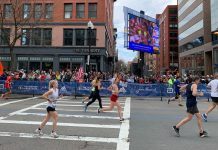 Race emails were sent out each day for a week to remind participants of packet pickup, parking options, the Women’s March potential traffic, and post-race party info. Coming from the suburbs, we arrived early (8:30 a.m.) to allow enough time to park. Parking was $20 at Soldier Field, but was super convenient and led us straight to the United Club where participants could wait prior to the race start. Inside the United Club, the announcer did a great job of reminding participants what time it was, when to be where, and other details. Another perk of being in the United Club? Realbathrooms! The announcer had runners begin to file outside around 9:45am to get into the proper start corrals. 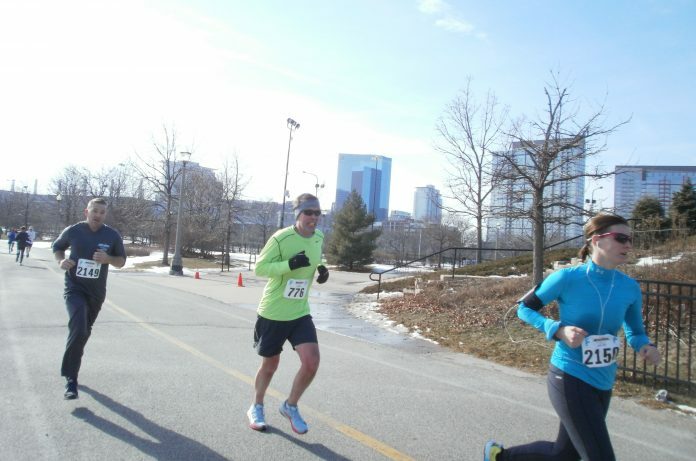 The ½ marathon started at 10 a.m. at Solider Field. Runners made a loop around Soldier Field before running through the eventual finish line and onto the Lakefront Path. After six miles out, runners hit mile seven and turned around. The race crew did an excellent job of clearing the path from snow and ice. With the construction of the new portion of the Lakefront Path still underway, there was one area where runners had to go through a little mud, but that will be resolved for 2019 after path construction is complete. Despite such a large turnout, the path was never overly crowded. It seemed as though many runners and bikers not participating in the race either got their workout in earlier in the day or chose to avoid the path (knowing the race was going on). Cones were nicely displayed anytime there was a possibility that a runner could choose the wrong way, and volunteers were directing runners as well. Aid stations were plentiful for a “warm” day in January and aid station volunteers were great at calling out sports drink and water. After crossing the finish line, runners were greeted with medals, water, sports drink, Kind Bars and bananas before heading back inside to warm up. Inside, photographers encouraged runners to take pictures…some of which were even made into magnets, which was pretty cool and very different. Awards began around 11:45 a.m. for the 5k and around noon for the half marathon, allowing runners just enough time to grab their gear before heading over to the after party. Multiple local craft beers were on tap at Kroll’s, which was a short walk away from Soldier Field. 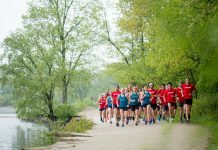 Between the amazing weather, awesome race director and volunteers, and great venue and post-race party, this race should be added to your 2019 calendar, which will be the 10th anniversary! 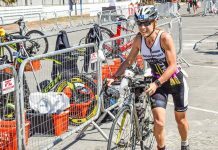 And for those concerned about being out of shape in January, feel free to read my detailed account of the race on my blog (jacquisjourney.com) and see how I’m using it as motivation to get my rear in gear for this 2018 season!